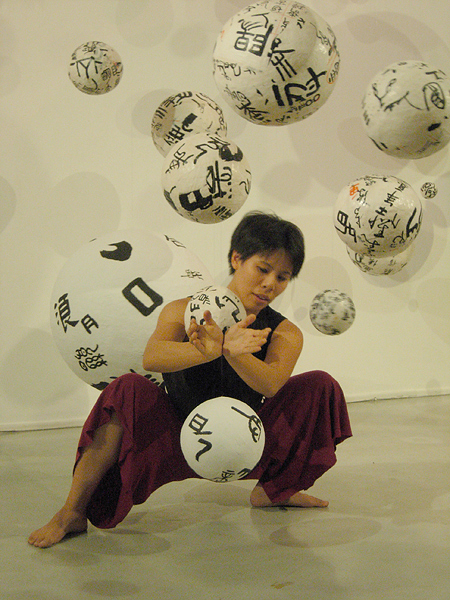 “Compromised Interpretation” is a site specific installation and a collaborative project conceived by YaYa Chou. 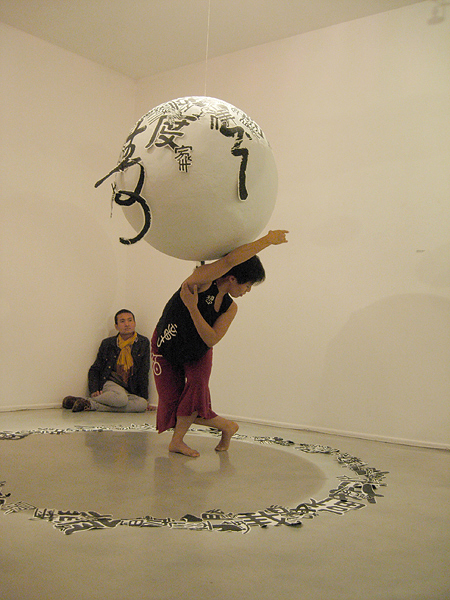 I created a room-size sculpture installation and invited choreographers/dancers Cynthia Lee and Shyamala Moorty from the Post Natyam Collective to choreograph a short dance based on the concept. “Compromised Interpretation” is a term derived from the concept of interpretation and reality in psychotherapy. I examined whether our understand ing of reality is a form of “compromised interpretation,” based on past experience and belief, or if it is pure observation of our existence. 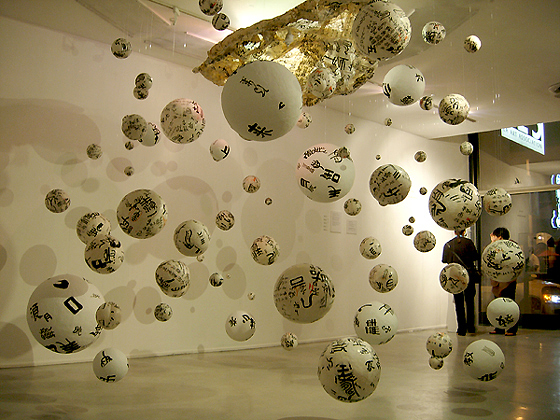 The sculptures were created out of my mother's discarded calligraphy studies. 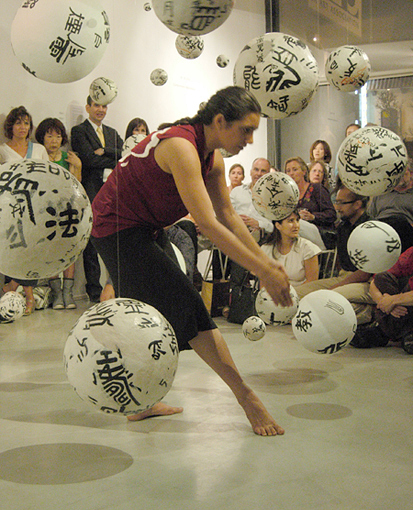 The dance was performed on Sept. 11 and Oct. 9, 2009 at Los Angeles Art Association/Gallery 825 in Los Angeles, accompanied by original music by composer Loren Nerell. To learn more about the piece, please visit the press release. Or watch the video excerpt of the live performance here. 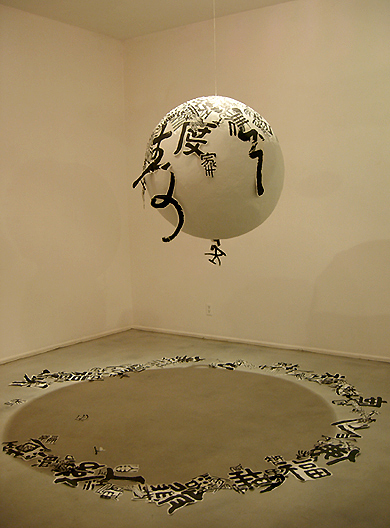 “Compromised Interpretation” 2009, calligraphy studies, plaster, fabric and mixed media installation, dimensions variable. 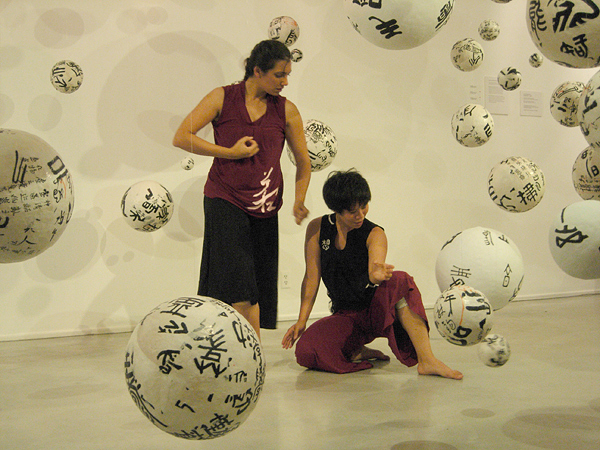 Live performance by choreographers/dancers Shyamala Moorty(L) and Cynthia Lee(R). 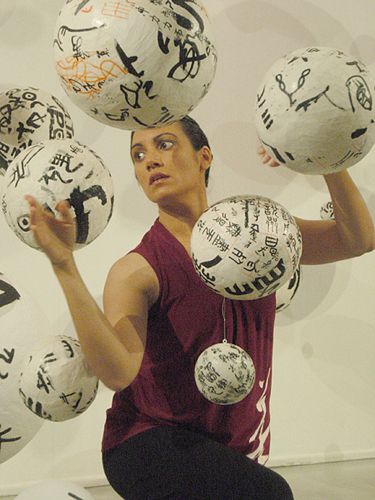 Live performance by Shyamala Moorty. Live performance by Cynthia Lee.